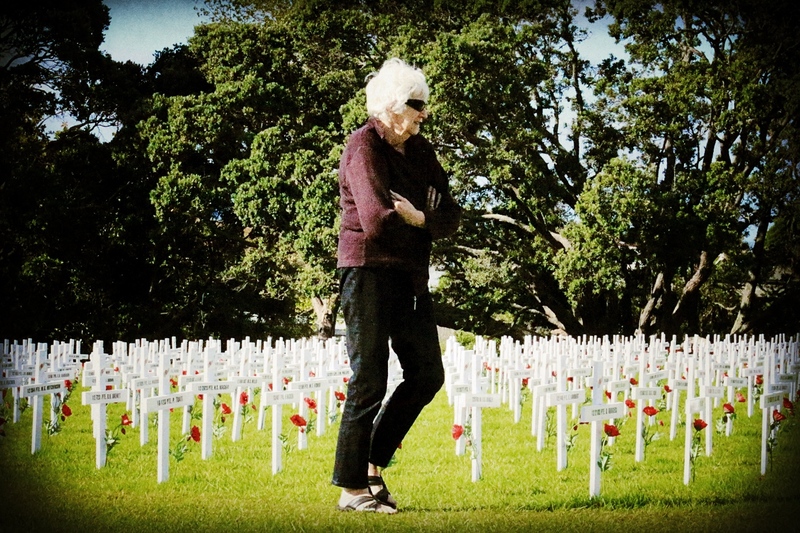 Young woman walking in the Field of Remembrance, Auckland Museum, ANZAC Day, 2015. Photo: Su Leslie, 2015. ANZAC Day has past; the poppies are gone from lapels, the wreaths cleared from the cenotaph steps. The medals of long-dead grandfathers are back in their boxes and the business of remembering is packed up for another year. The crosses are gone now too. A Field of Remembrance on the lawn in front of the Auckland Museum commemorating the men and women from the Auckland region who went to war and did not return. 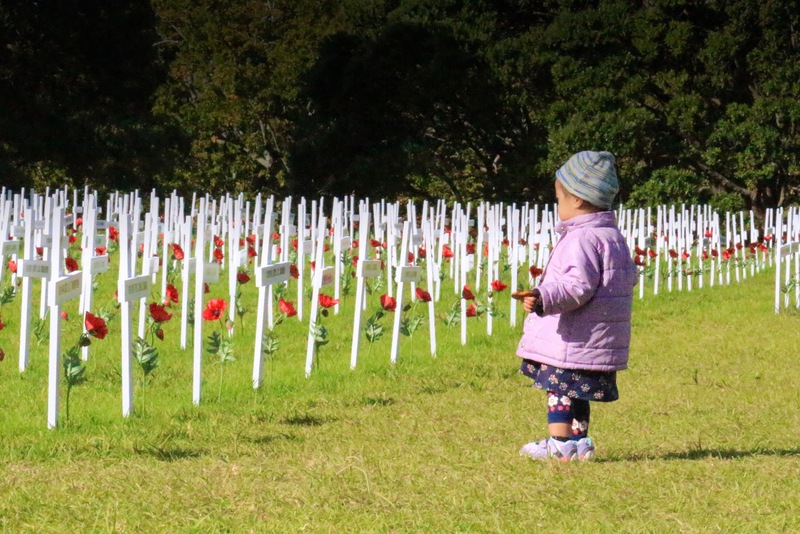 Field of Remembrance, Auckland Museum, ANZAC Day, 2015. Photo: Su Leslie, 2015. I watched people walk amongst those crosses. Some were looking for a specific name; a grandfather or great uncle. Others were simply curious. Older people walked slowly, children ran between the rows, enjoying the sunshine and the experience of something different. It is 100 years since a disastrous military campaign at Gallipoli robbed thousands of men of their lives and stole from as many families their sons, brothers and fathers. For New Zealanders, Gallipoli was the first large-scale loss of life in World War I; the first inkling that following the “mother country” (Britain) into war mightn’t be a great adventure — “over by Christmas.” Almost a fifth of the Kiwi troops who landed at Gallipoli died there. Many, many more were to die in Europe — on the Somme and at Passchendaele — and in the Middle East. Those who survived suffered wounds, sickness and psychological damage that largely went undiagnosed and untreated. And of course, their suffering rippled outwards, changing the lives of the women and children they returned to. Women’s suffering in wartime is so often ignored. Many years ago I read Testament of Youth, by Vera Brittain (recently made into a movie). Vera Brittain served as a VAD (voluntary aid detachment) nurse during WWI, tending the sick and wounded while her brother, fiance and their friends who had volunteered to serve in the British Army were all killed. I took the title of this post from her poem Roundel, written for the loss of her fiance, Roland Leighton. I’ve included it below. 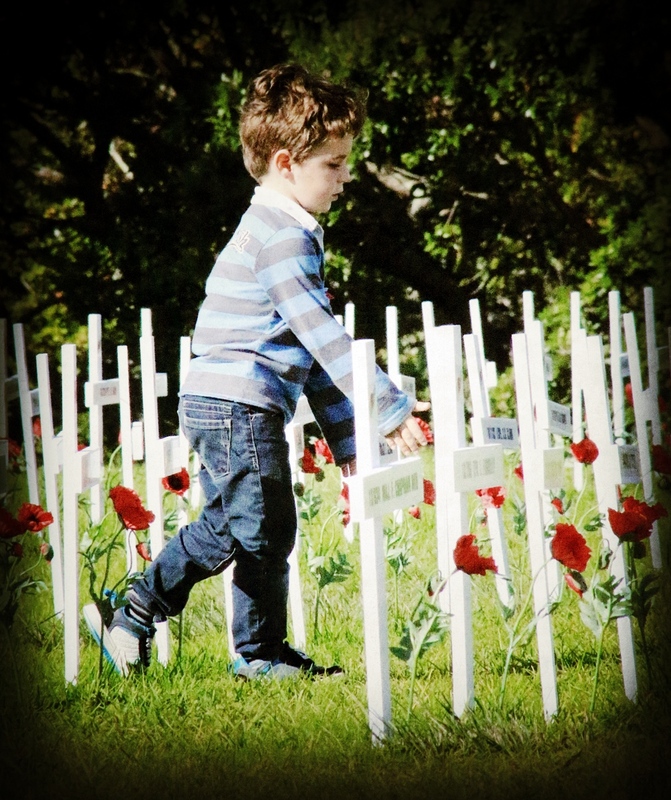 This is my last post (no pun intended) on the subject of ANZAC Day — at least until next year (honest, I promise) — but I did want to share these photos of visitors to the Auckland Field of Remembrance, and Sally’s weekly photo challenge at Lens and Pens by Sally seemed a good place to do so. 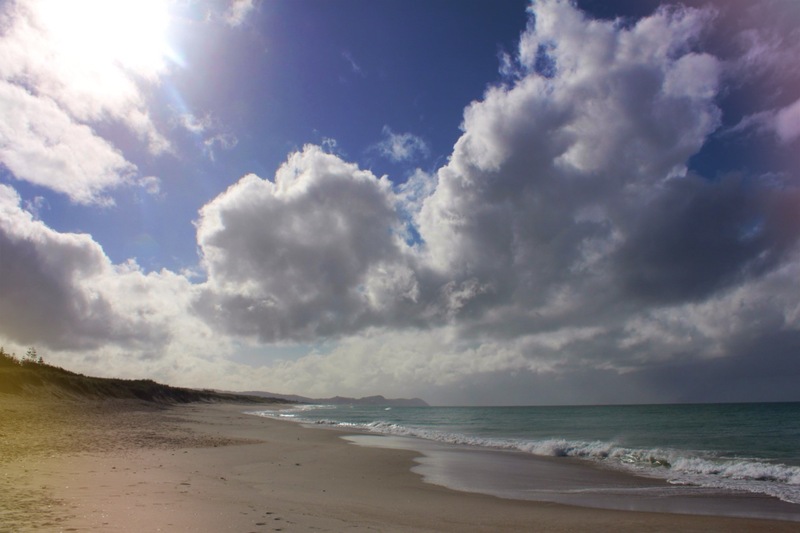 You can see Sally’s images, and those of others who have taken part in the challenge here. 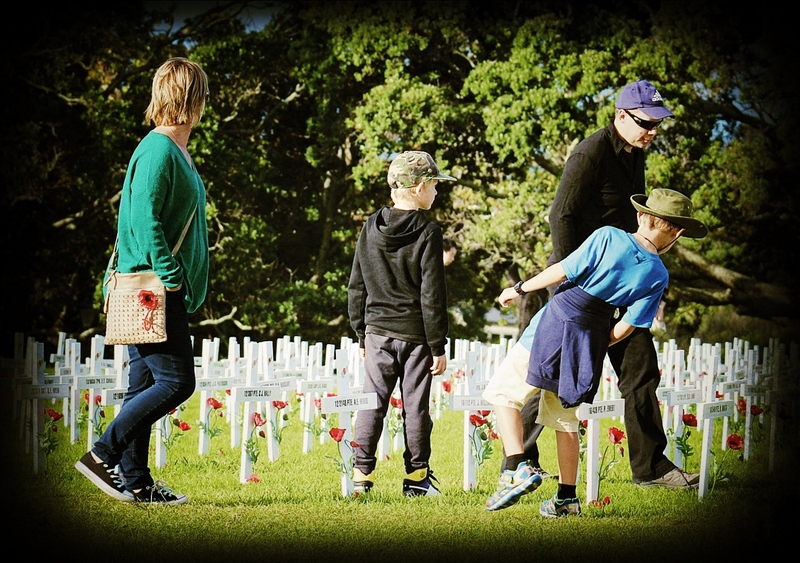 Seen on the Auckland Domain Field of Remembrance, ANZAC Day, 2015. Mary Helen Rae died in the sinking of the hospital ship Marquette on the 23 October 1915. The ship was torpedoed by a German U-boat near Salonika, Greece. 10 New Zealand nurses, 19 members of the New Zealand Medical Corps and three New Zealand soldiers lost their lives in the attack. Photo: Su Leslie, 2015. Yesterday was ANZAC Day. Always the most important day of remembrance for Australians and New Zealanders, this year it assumed particular significance as the 100th anniversary of the event ANZAC Day directly commemorates – the beginning of an Allied campaign against the Turkish Army at Gallipoli. I’ve written about Gallipoli and ANZAC Day here and here so will only reiterate that the campaign was an unmitigated disaster costing an estimated 120,000 lives — Turkish, British, French, Indian, Australian and Kiwi — with as many as 300,000 more left sick and wounded. After eight months, the Allies withdrew, having failed in their objective of capturing the peninsula. This year, unsurprisingly, ANZAC commemorations have been huge. Auckland’s cenotaph is located at the Auckland Museum, and this has provided a focal point. 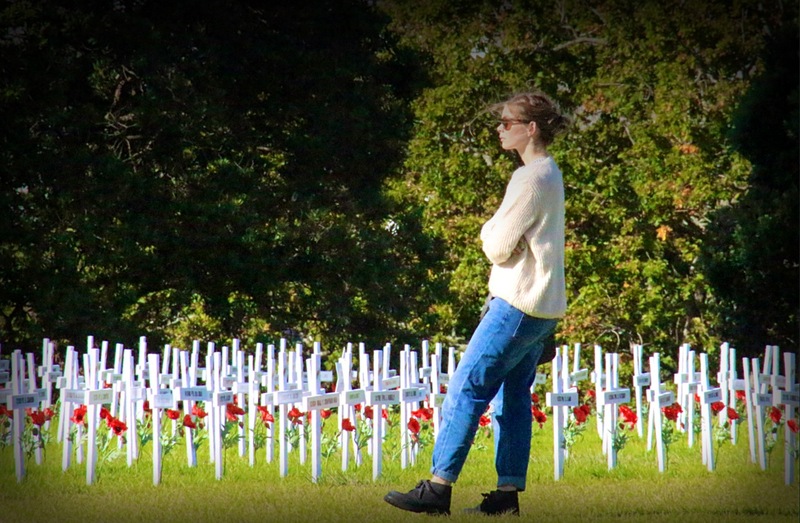 The lawn in front of the museum has been turned into a Field of Remembrance, with white crosses (and one Star of David) and poppies representing everyone from the Auckland region who lost their life in WWI. Wandering amongst these, I noticed the names of three nurses: Staff Nurses Mary Helen Rae, Nora Mildred Hildyard and Marion Sinclair Brown. This got me thinking about how much attention has been given in the news and popular culture to men’s experiences of war. Films like Peter Weir’s Gallipoli and Maurice Shadbolt‘s brilliant play (later a movie) Once on Chunik Bair focus on the experiences of fighting men at Gallipoli, but women also served in the campaign — as nurses on board hospital ships and in field hospitals. The first New Zealand hospital ship — the HS Mahino — arrived off Gallipoli on 25 August 1915 with fourteen nurses aboard, and was immediately innundated with casualties from the last main offensive of the campaign – the Battle of Hill 60. The Mahino, and others like it, were equipped to treat the wounded and sick while ferrying them to field hospitals in Greece, Malta and Egypt. It seems that Kiwi nurses had been prepared to serve earlier in the war, but the NZ government was advised by the British, who were in charge of the campaign, that our nurses would not be required! In total 626 nurses served in the New Zealand Army Nursing Service in WWI. Twenty one were were killed during hostilities or died from illnesses contracted during their time of service. Ten of those nurses — including the three named above — lost their lives on 23 October 1915 when a German U-Boat torpedoed the transport ship Marquette. The sinking of the Marquette cost 167 lives, 32 of them New Zealanders. 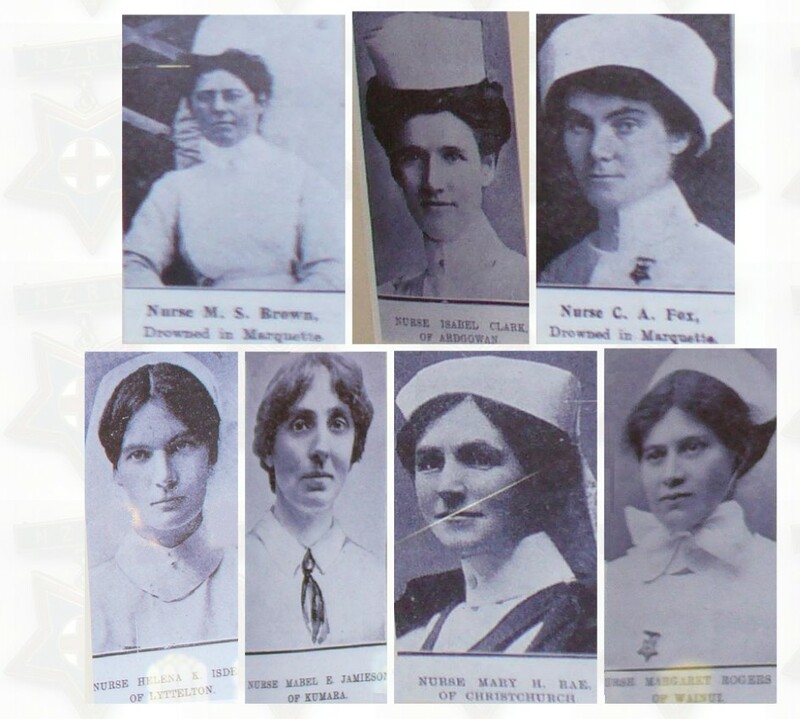 Nine of the nurses who died in the sinking of the Marquette. Nora Hildyard is shown below. Photo: RootsWeb. 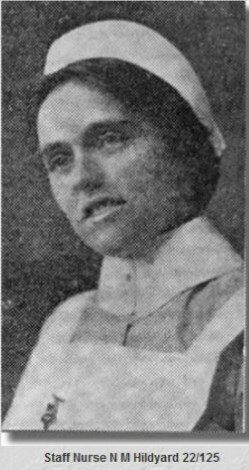 Staff Nurse Nora Hildyard. Photo: NZ Army Nursing Service. The bodies of nine of these nurses were never found, and they are remembered on the Mikra Memorial, at the Mikra British Cemetery in Thessaloniki, Greece. This memorial commemorates “almost 500 nurses, officers and men of the Commonwealth forces who died when troop transports and hospital ships were lost in the Mediterranean, and who have no grave but the sea.” (Commonwealth War Graves Commission – Mikra Memorial). The tenth, Staff Nurse Margaret Rogers is buried in the Mikra Cemetery – her body having been found in a lifeboat. All ten are also remembered on a panel in the Christchurch Hospital Nurses’ Memorial Chapel located on the Christchurch Hospital site. Although damaged in the Feb 22 2011 earthquake, the chapel has survived. (‘Christchurch nurses’ memorial chapel‘, Ministry for Culture and Heritage). 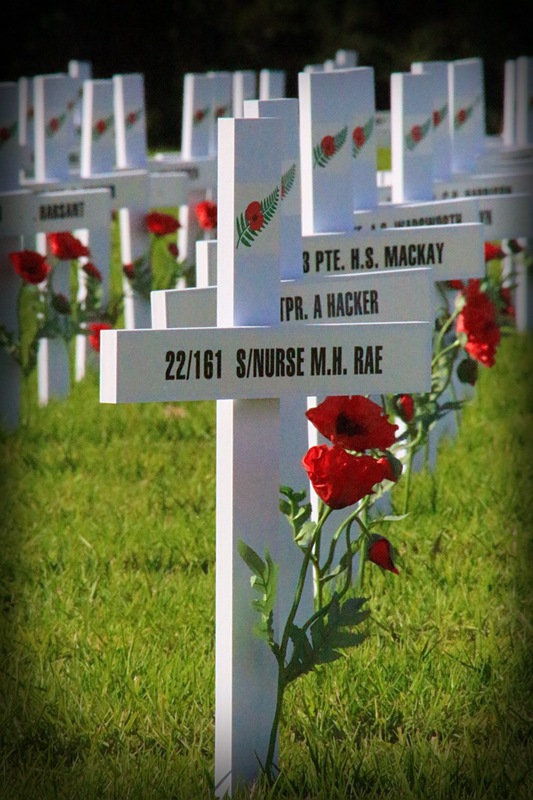 I’m not sure why Nurses Rae, Hildyard and Brown are commemorated in the Auckland Field of Remembrance as all three were from the South Island. I am glad however, that they are and that in some small way we remember the women who also travelled across the world and endured much the same hardships and suffering as the men they cared for and treated. 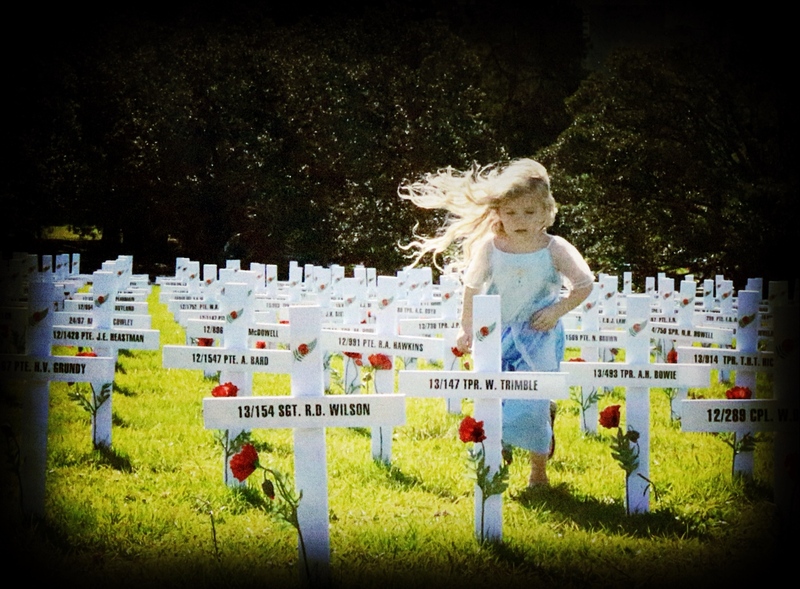 Small girl at Auckland’s Field of Remembrance. A cross (or Star of David) has been placed in the lawn outside the War Memorial Museum for every ANZAC service man and woman who lost their life in WWI. Photo: Su Leslie, 2015. Ode of Remembrance, part of the poem For the Fallen, by Laurence Binyon, 1914. I became a morning person somewhat unwillingly with the birth of my child. In those first days of 5am feeds and fretful napping I could not imagine there ever being a time when I could celebrate the sun rising, much less go out of my way to see it. But months and years passed; early morning crying was replaced by small hands on my face, patting me awake to request a story. Then came years of morning sports’ practices and rushing for early school buses, until finally the day arrived when 7am felt like a lie-in. Now of course, the boy-child can (and does on occasion) sleep until noon, while I stand on a motorway overbridge at 6am photographing the first blushes of colour to greet early-morning commuters. Before dawn, and commuters are already moving around Auckland. 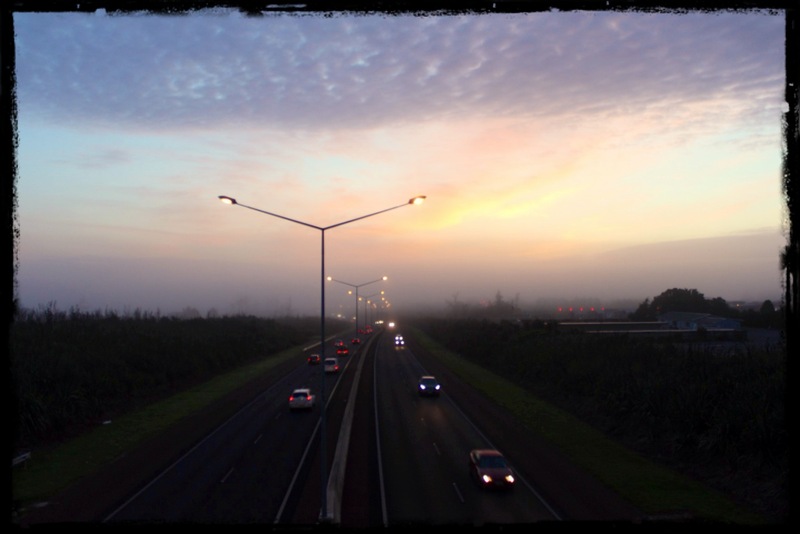 Photo taken from Sinden Road motorway overbridge, Hobsonville. Su Leslie, 2015. 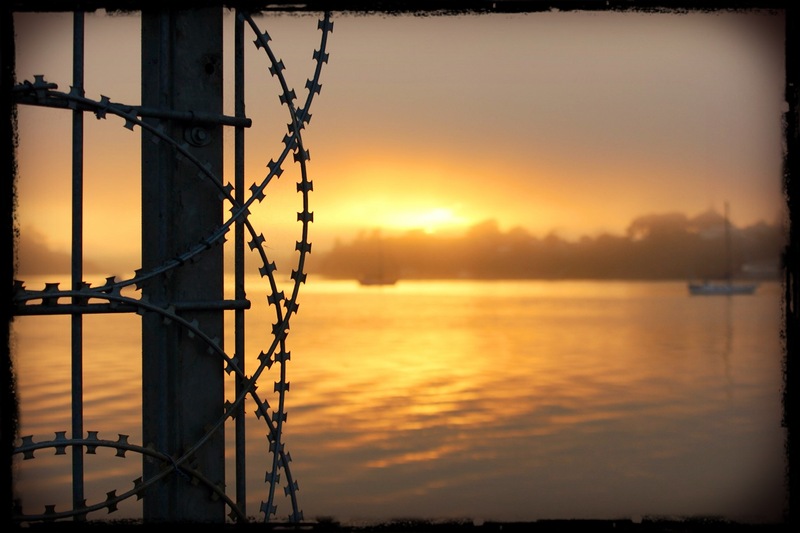 As the closest, east-facing bit of the harbour to my home, Hobsonville Point has become my go-to place for spectacular sunrises. 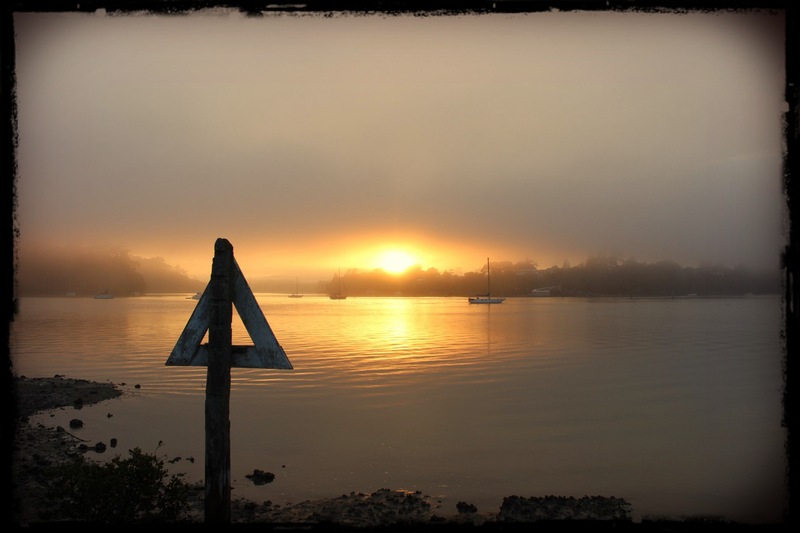 This morning, I arrived just before the sun came up and a low mist still shrouded the harbour. From the yacht club I could see south down the Waitemata towards Birkenhead; where sea and sky were indistinguishable and softly grey. 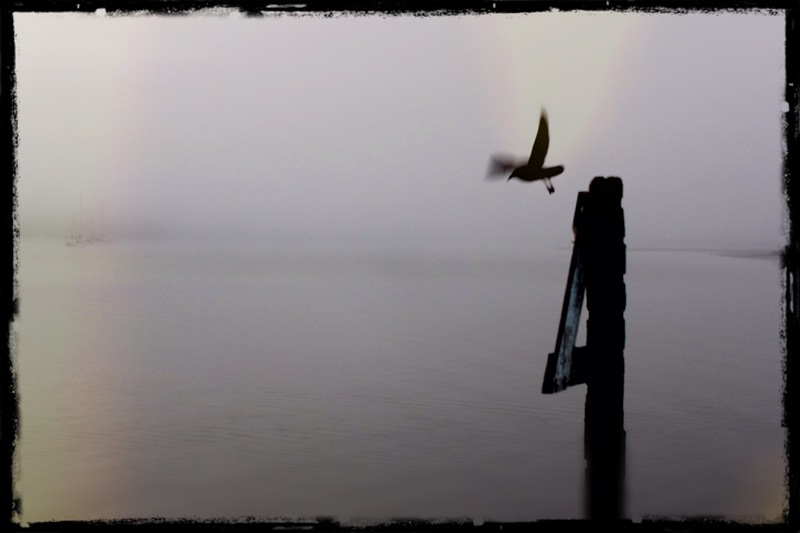 Gull in flight; Hobsonville Point, Auckland. Photo: Su Leslie, 2015. Although I could hear commuter traffic, it seemed muffled by the mist, and provided a bassline for the melody of lapping waves and the splash of a lone kayaker’s paddle. 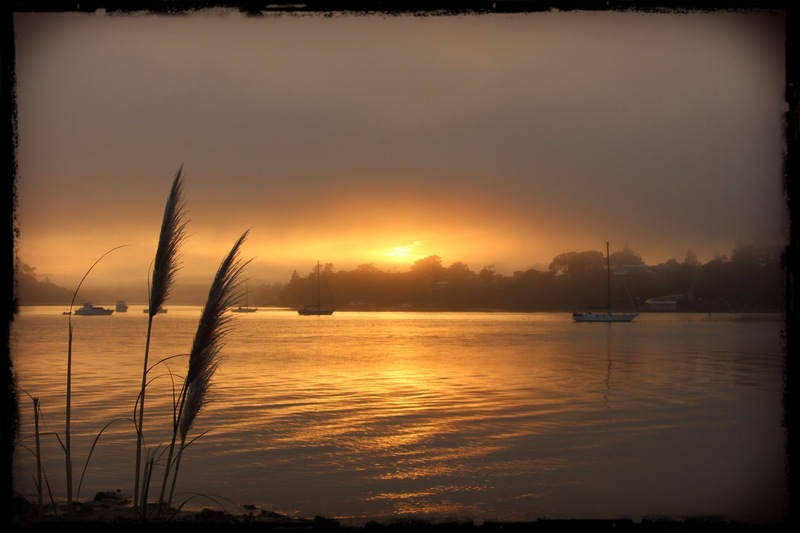 Rising sun, Hobsonville Point, Auckland. Photo: Su Leslie, 2015. 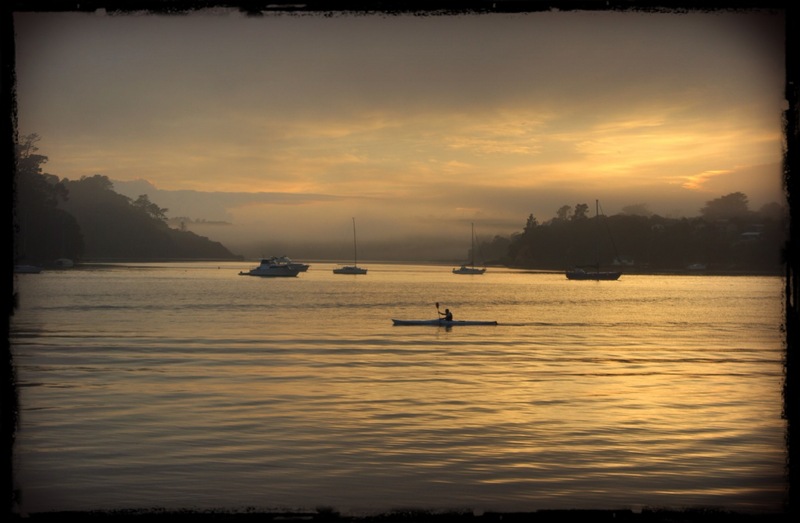 Today is a weekday, and there is a commuter ferry from Hobsonville Point to the city, but this morning there was no-one else around and the sun came up for an audience of one. I seldom buy cut flowers. Beautiful as they are, I worry about the environmental impacts of industrial bloom farming, packaging and transportation — all to deliver ephemeral moments of colour to florists, supermarkets and gas stations all around the country. But for reasons I can’t quite explain, two bunches of Asiatic lilies, still all in bud, found their way into my supermarket trolley a few days ago. Since then I have been capturing their slow transformation from bud to bloom. Stamen, Asiatic lily. Photo: Su Leslie, 2015. Shot with iPhone 4, edited with Snapseed. Stamen, Asiatic lily. Photo: Su Leslie, 2015. Shot with iPhone4, edited with Snapseed. Most of the flowers are open now, and the sticky dark orange pollen has begun to fall. Within a couple of days, they’ll all be consigned to the compost bin, but I have had my “fix” of fresh flowers for a while. Next time though, I may just visit the Botanical Gardens. This post was written for the Phoneography and non-SLR digital image challenge at Lens and Pens by Sally. You can find out more here. I did wonder — knowing that Tish lives in England — whether she’d be familiar with that most deliciously, deceptively unassuming fruit, the feijoa. She wasn’t, and so this post is by way of enlightenment. When I lived in the UK in the 1990s, feijoas were not only unavailable, but requests for them in fruit shops or supermarkets were met with puzzled looks and the odd suggestion that I must have the name wrong. 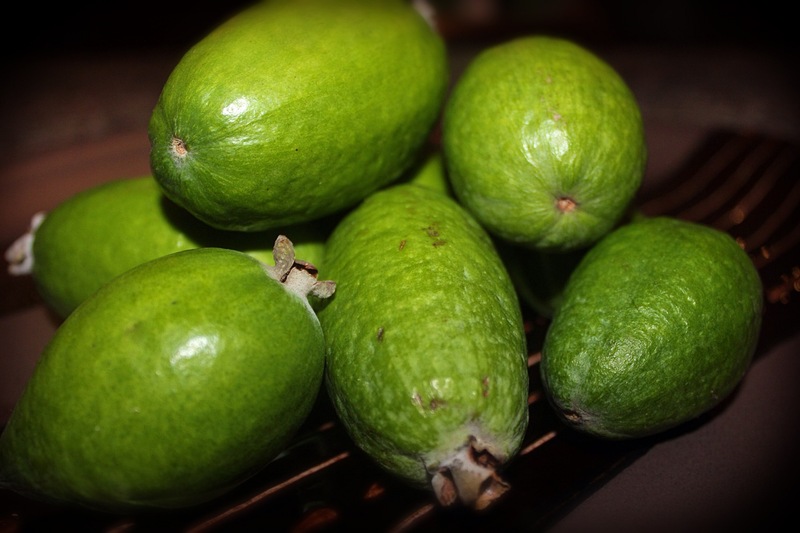 A Kiwi friend recalls an English workmate insisting that such a fruit did not exist, and that perhaps “feijoa” was just her family’s special name for another, real fruit. “An apple, perhaps” was apparently his suggestion. Annoyed at being so patronised, she drove half way around the M25 to borrow a New Zealand recipe book from me, which she took to her workplace to demonstrate the reality of feijoas to her colleague. 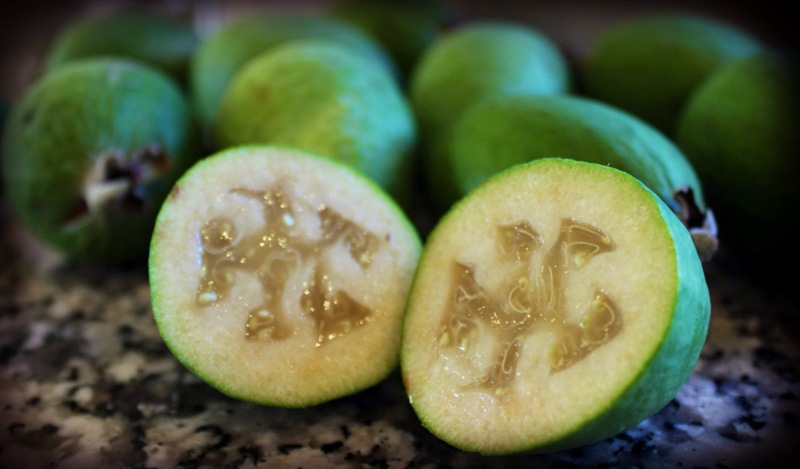 Feijoa, or Acca sellowiana is a species of flowering plant in the myrtle family, native to South America (Wikipedia). I’m not sure how or when it was introduced to New Zealand, but it grows extremely well here and is widely planted in domestic gardens. Growing up, everyone seemed to either have a feijoa tree, or knew people who did, so that during the months March to June buckets of the fruit could be found in every pantry. Feijoas; creamy flesh inside firm bitter green shells. Photo: Su Leslie, 2015. Feijoas seem to be one of those things that people either absolutely love or totally hate (like Marmite and Vegemite). My mother loathes them — likening the smell of the uncut fruit to wintergreen (methyl salicylate). Because of this, she tended to discourage neighbours’ donations of the fruit, so my brothers and I compensated by scrounging them from every source possible. One consequence of this was that we always ate ours raw, scooping the sweet creamy flesh straight from its slightly bitter green shell. It is only as an adult that I’ve discovered the pleasure of cooking with feijoas. The first house I bought had a huge and prolific feijoa tree in the back yard. A Kiwi friend who has lived in Edinburgh for over 30 years visited one afternoon and we (literally) sat under the tree and gorged ourselves. It’s only since we returned to NZ in 2000 that I’ve noticed feijoas for sale in shops. Before that, it seemed to be very much a home grown or donated fruit — although sometimes enterprising small children would set up roadside stalls selling what was probably grandma’s (hopefully excess) harvest. This season, feijoas seem to have become — in culinary circles — the new black. Last weekend, I saw feijoa cake in a couple of cafes, the host at the B&B where we stayed baked us a feijoa cake as a welcome, we had the fresh fruit at breakfast and feijoa jam for our croissants. Since then I’ve found a plethora of recipes for cakes, muffins, crumbles, jams, chutneys and cordials, and while I don’t have any feijoas growing in my garden, they are ridiculously cheap at the local fruit shop so I decided to have a go at making a feijoa cake this afternoon. I’m experimenting with dairy and gluten-free baking at the moment, and I’ve found a local (Auckland-based) food writer, Eleanor Ozich, whose book My Petite Kitchen Cookbook, has lots of useful recipes. One I’m particularly fond of is an orange almond cake; which I modified by using feijoa pulp in place of the oranges. The cake uses almond meal instead of regular flour, and is sweetened with a couple of spoonfuls of honey. 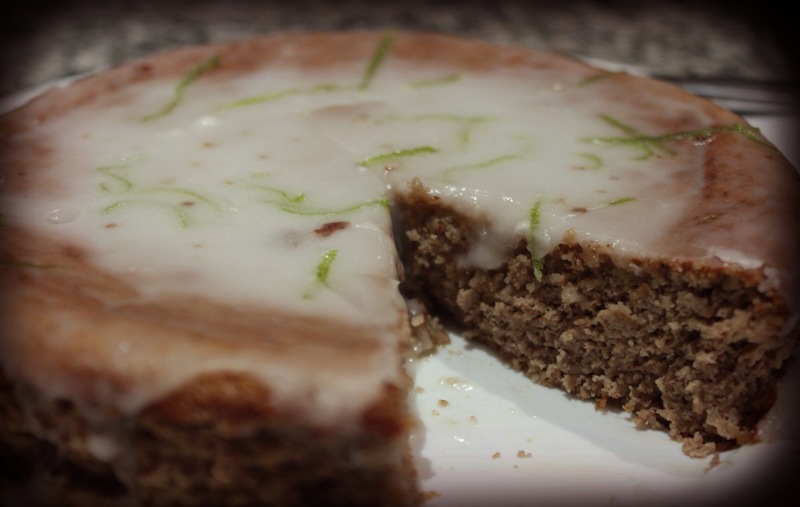 I added the zest of a lime for a bit of extra zing, and (I must confess) did mix some icing sugar and lime juice to create a drizzle icing on top. But compared to my usual slathering of buttercream frosting on cakes, I feel I’ve been quite restrained. Feijoa-almond cake, with lime drizzle icing. Photo: Su Leslie, 2015. The result doesn’t look as glamourous as the cafe cakes, but the Big T assures me it tastes great. If anyone is interested in the recipe, I’m happy to bake another cake (purely for research purposes) with a bit more attention to quantities and technique, so that I can actually generate a recipe. Meanwhile, I’m off to try a slice (purely for research purposes, naturally).